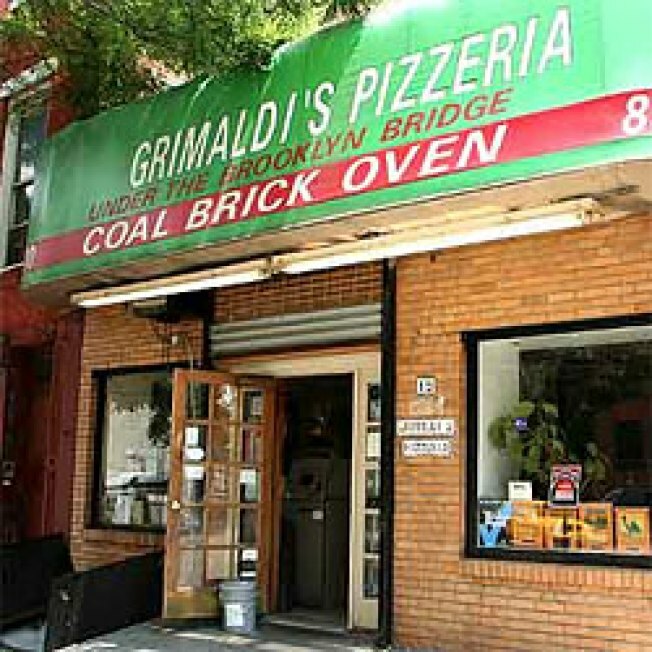 Grimaldi's Pizzeria may soon leave its iconic location under the Brooklyn Bridge. The building's landlord has sent eviction papers to Grimaldi's owner Frank Ciolli, saying that Ciolli owes her $44,000 in overdue rent, reports the Wall Street Journal. The case will be heard this Friday by a state Supreme Court judge in Brooklyn, but even if the ruling favors Ciolli, he's still probably going to have to move, as he's lost the right to renew his lease, reports the Journal. That means that some time this fall, Grimaldi's will move out of Brooklyn. The pizzeria already has locations in Hoboken and Douglaston, Queens, and several in the southwest U.S.
Ciolli also owes the city nearly $12,350 in property taxes and business improvement district charges, according to court papers. The landlord, Dorothy Waxman, told Ciolli in April that he was behind on three months' worth of rent, and that she had been forced to use the security deposit to pay bills and fines, reports the Journal. "Our client has just had enough," Waxman's attorney Darryl Vernon told the Journal. "Somehow, those lines out the door aren't leading to our client getting paid her rent." For his part, Ciolli claims he paid the rent "for the most part" and has already set aside money for August's rent, but his attorney says that Waxman's legal counsel has refused the money. Grimaldi's, famous for its highly-rated brick oven pizza and iconic Brooklyn location, is well know for attracting celebrities as well, from Frank Sinatra to, most recently, Michelle Obama and daughters Malia and Sasha. The First Lady put pizza-lovers in a tizzy by allegedly claiming that Grimaldi's pizza was "better than Chicago pizza."